Crossing Nebraska on the interstate we found a lovely city park and campground in Cozad. 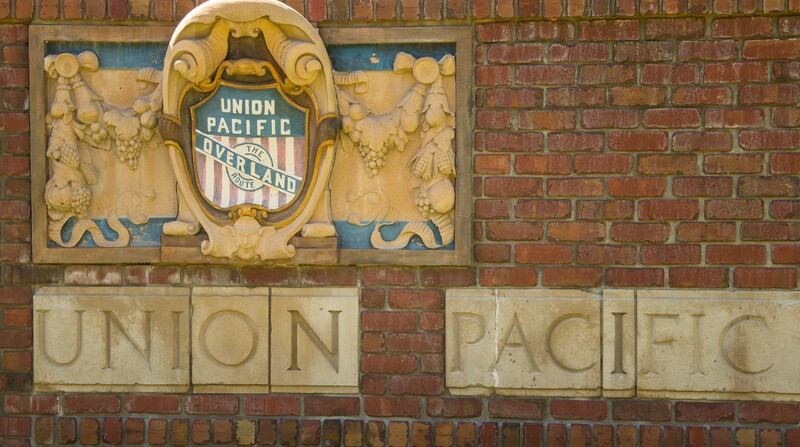 It was near enough to the Union Pacific main line to see up to 100 trains per day. Cozad was also historically significant as it sits on the 100th Meridian of longitude, the first goal of the Transcontinental Railroad which initiated the first payments to the Union Pacific from the Federal Government. 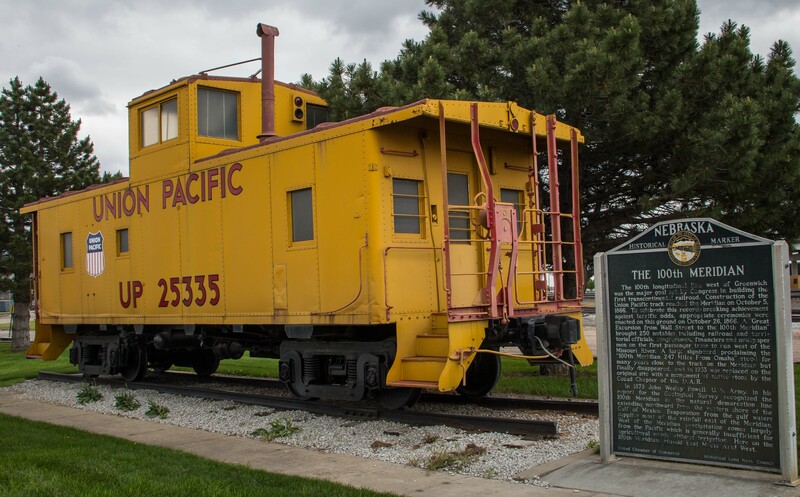 North Platte Nebraska is home to the largest classification railroad yard in the world, Union Pacific’s Bailey Yard. We visited that yard and its observation tower several years ago but this time we found a small museum and depot display at Cody Park. The display includes the Challenger steam locomotive #3977, a breakthrough articulated 4-6-6-4 built in 1943 that could pull heavy freight trains at up to 60 MPH. 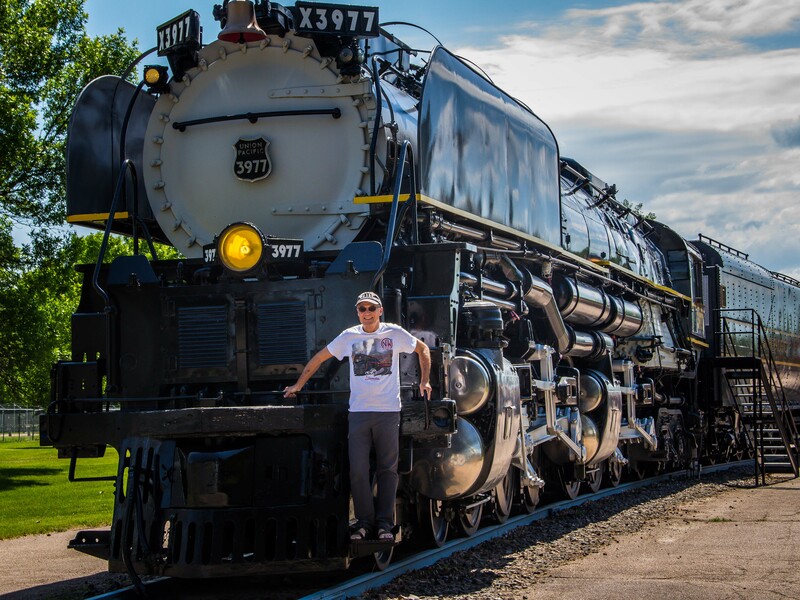 The locomotive is huge 122 feet long and weighs 314 tons. The display also includes #6922 diesel-electric locomotive Centennial, the largest and most powerful diesel locomotive ever built. These were built by General Motors Electro Motive Division and featured 2 – 3300 hp diesel engines. 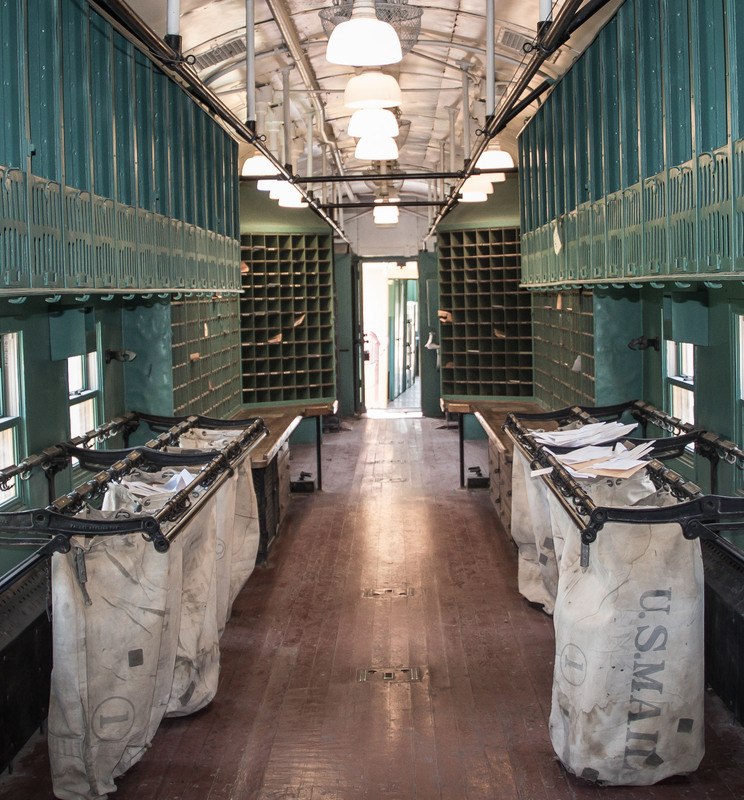 The museum also had a historic depot from nearby Hershey NE, a Pacific Fruit Express reefer car, Railway Post Office car and a caboose. All in all a worthwhile stop on our way from Michigan to Colorado. This entry was posted in Nebraska, RV Travel, trains and tagged Cozad NE, North Platte NE, Union Pacific RR, UP Centennial, UP Challenger. Bookmark the permalink. I love keeping up with you throughout your travels, especially your visit through Nebraska. I’ve always loved trains and got to experience some of your highlights while living there during college. Keep up the posts and safe travels!! We always think of you when we’re traveling through Nebraska.